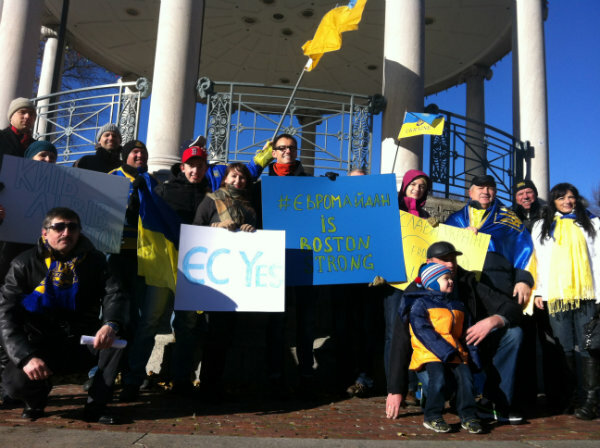 The Ukrainian community of Boston showed up to support pro European choice for Ukraine on Nov 24, 2013. 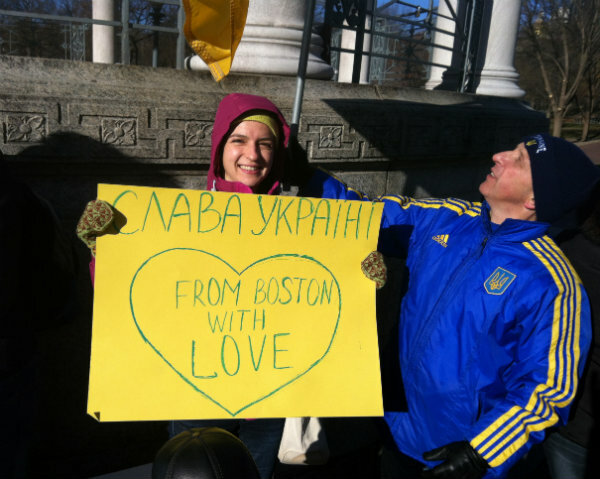 About twenty Ukrainians came to the Boston Commons, the central park located in downtown Boston, holding Ukrainian flags, symbols and posters to bring attention to the protests in Ukraine. I believe, it is crucial today to show support for the protest actions in Kyiv, Ukraine. This is a unique chance for Ukraine to unite for a common cause that is not appropriated by any one political party, ideology or leader. The main cause for people in Ukraine is their future – which they see as part of the European Union. Demonstrators also brought their messages in front of the Massachusetts State House, a building where the legislative body of the Massachusetts government sits. There participants decided to sing the national anthem of Ukraine. According to organizers, Ukrainians in Boston wanted to send a message to “keep strong” to participants of the Ukrainian rallies. The youngest participant of the Boston rally was a three-year-old boy from a family of Ukrainians living in Boston. The idea to conduct a support action arose in the Facebook group called Ukrainian Boston on Nov 23, 2013. The information on the time and place of the gathering spread across social media. “If we had at least couple of days more, we could have brought many more people to the rally,” organizers said. Also they promised to come together again to celebrate in case of Ukraine’s success in signing the EU Association Agreement. On Saturday and Sunday, Nov 23-24, rallies in support of Ukraine’s pro European choice were also held in Chicago, Cleveland, Washington DC and New York City. Sarah Heinonen stands across the parking lot of a Walmart in Ware, Mass. As soon as customers approach the store, she smiles and hands them fliers. Heinonen exclaims, “Hi, we’re out here supporting the striking Walmart workers. Would you like to know more?” One shopper smiles and takes a flier, another stops for a minute or two to ask for details. 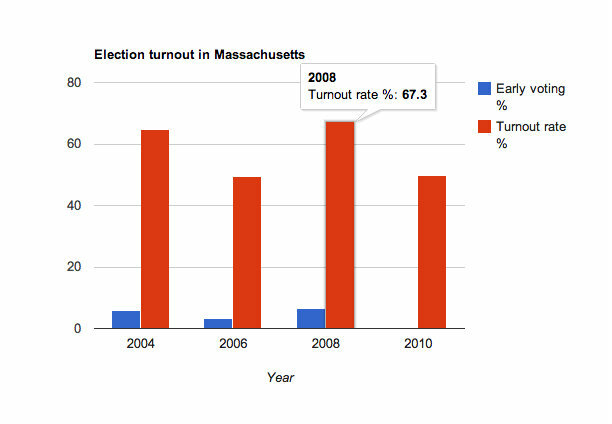 For last eight years election turnout on general elections in Massachusetts varies from 49.3% in 2006 congressional elections as the lowest to 67.3% in 2008 presidential elections as the highest. Early voting rates vary between 3.4% in 2006 and 6.5% in 2008. Data on early voting in 2010 congressional elections is unavailable.